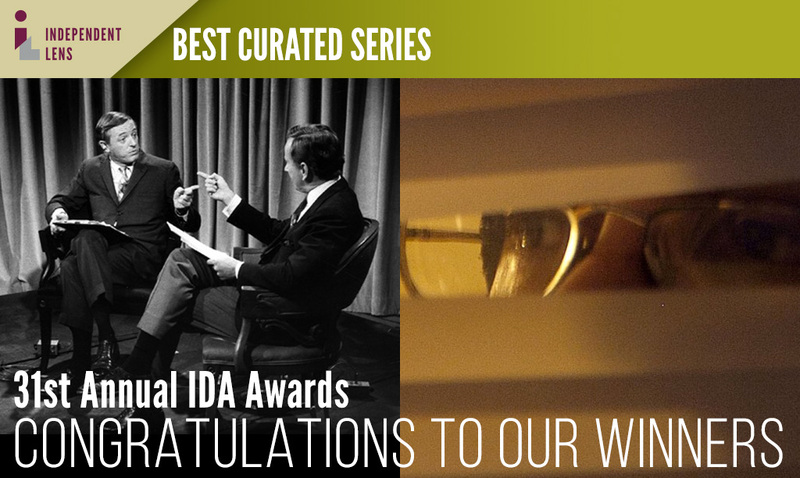 The International Documentary Association (IDA) announced the winners of the 31st IDAs this weekend with ITVS receiving four IDA awards. This weekend&apos;s honors brings the total number of IDA honors for ITVS to 21, including a third consecutive win for its acclaimed weekly series Independent Lens. ITVS’ Independent Lens established a bona fide winning streak last night, sharing its Best Curated Series honors with POV. Independent Lens was previously awarded the 2013 International Documentary Association Best Continuing Series Award and the 2014 International Documentary Association Best Curated Series Award. “ITVS is thrilled to see the work that we believe in so deeply, be recognized by the IDA, and we are proud to have played a role in their success. (T)ERROR, Best of Enemies and The Black Panthers: Vanguard of the Revolution (nominated for Best Feature) all show the changing face of America – on camera and off. Every day, our mission is to champion independent filmmakers who are working to tell the world’s untold stories. These filmmakers capture the lives of underrepresented people on film, then we help to make their stories accessible to everyone,” said ITVS President and CEO Sally Jo Fifer. “We are particularly pleased that Independent Lens continues to be recognized and congratulate Lois Vossen and her Independent Lens team. We would also like to congratulate Gordon Quinn on his well-deserved Career Achievement Award. Gordon was integral to the creation of ITVS, leaving an important and lasting legacy around our mission of diversity and inclusion in the independent filmmaking community,” continued Fifer. The full list of winners was published on Variety.